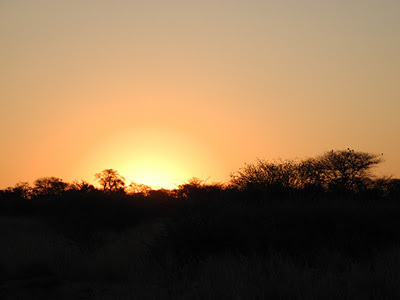 A sunset in the bush at Mabuasehube. The sun was scorching during the day and even the wind was hot, so all we did was hide under the shade and wait for the sun to paint a golden sky behind the thornbushes. As much as I complain, the European winter makes me realise how spoilt I am and I really miss the warmth and the sunlight of Botswana.